TIGI is a vibrant brand of affordable premium hair care products. They already align with a young, fashion conscious audience but wanted to find a new way raise their profile by connecting to music festival culture. 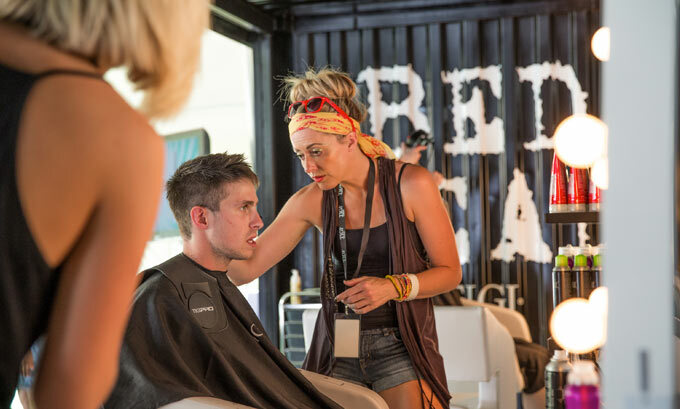 Introducing the TIGI festival hair salon #Bedheadbackstage – a UK focused touring experience. 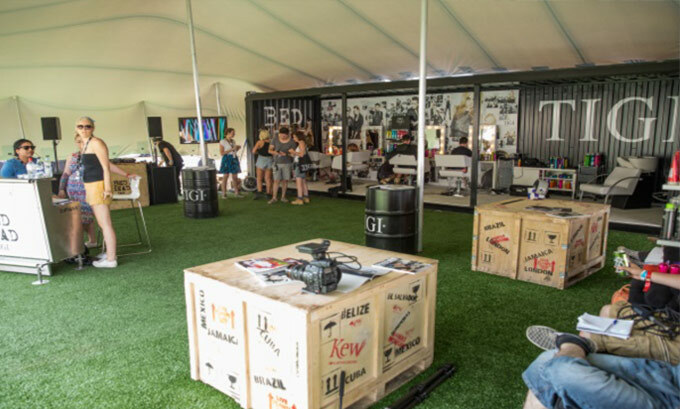 The salon set up shop for an exclusive clientele of performers, VIP guests and competition winners at Wireless, V and Parklife for two years running (2013/14). The temporary home of the TIGI creative team, the salon styles the stars before they hit the stage and lavishes attention on those lucky enough to be a VIP. Along the way TIGI created exclusive content for multiple social platforms and digital publishers, guest media and fashion bloggers. From event concept, through to full delivery (including design, build, management and tight budget control) Live Nation Experiential were central to the events delivery and success. Production design, build and management, site management, budget management.